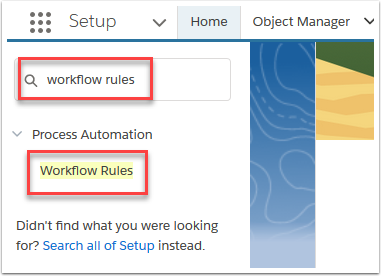 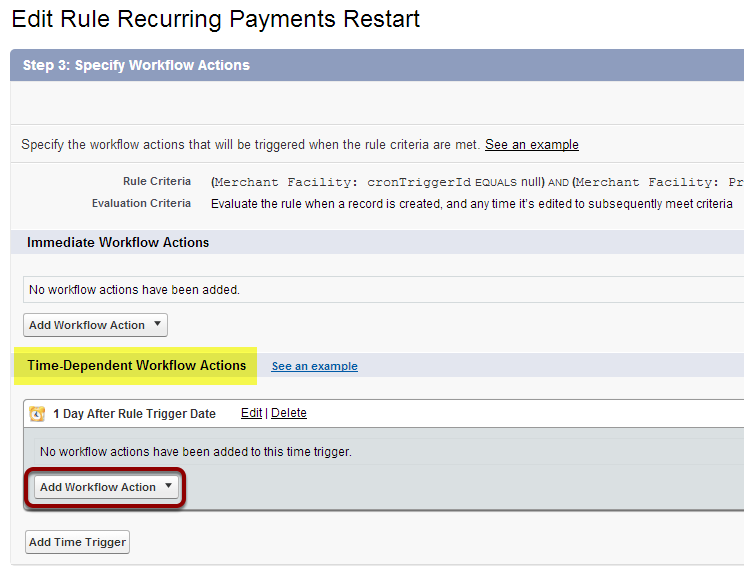 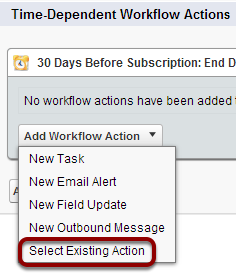 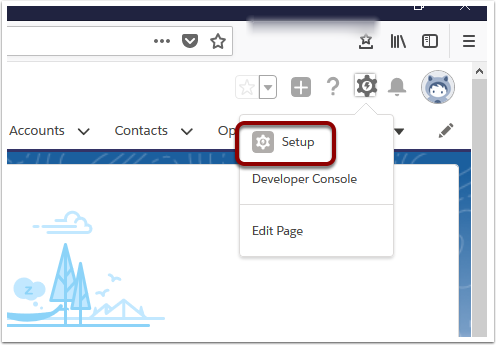 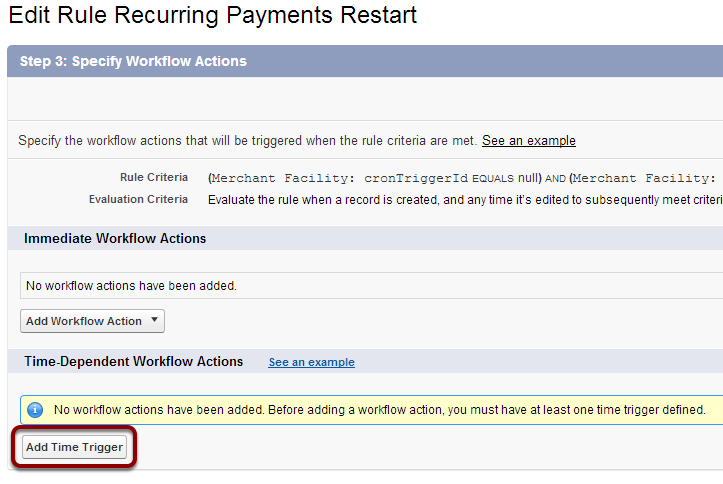 This workflow setup is required only if you are using recurring payments. 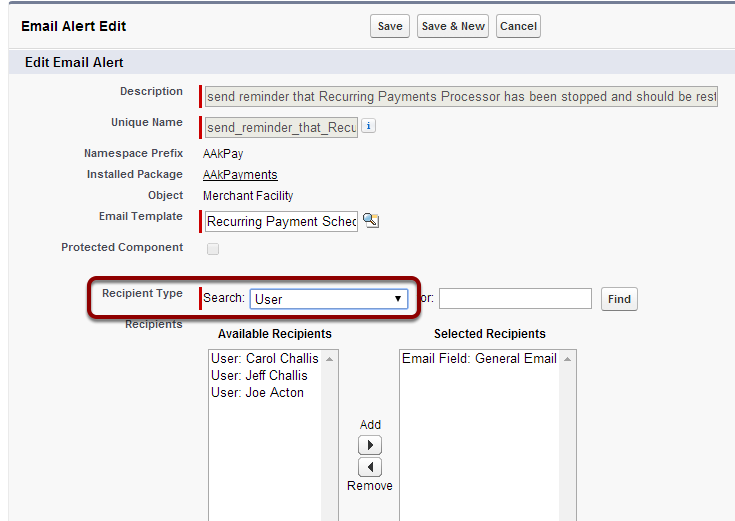 The recurring payments run a scheduler that can be easily started or stopped by an authorised person from the Merchant Facility Tab. 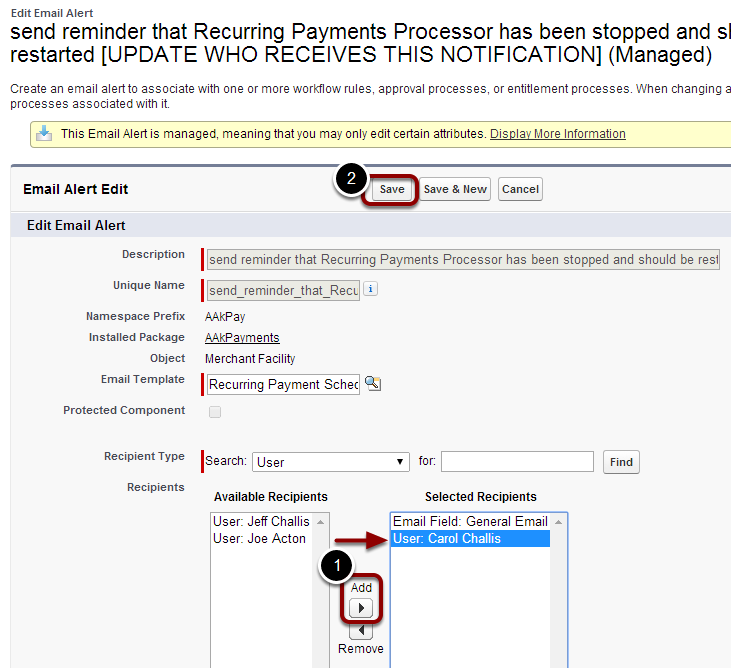 This time based workflow creates a reminder in case the processor is stopped and someone forgets to restart it again. 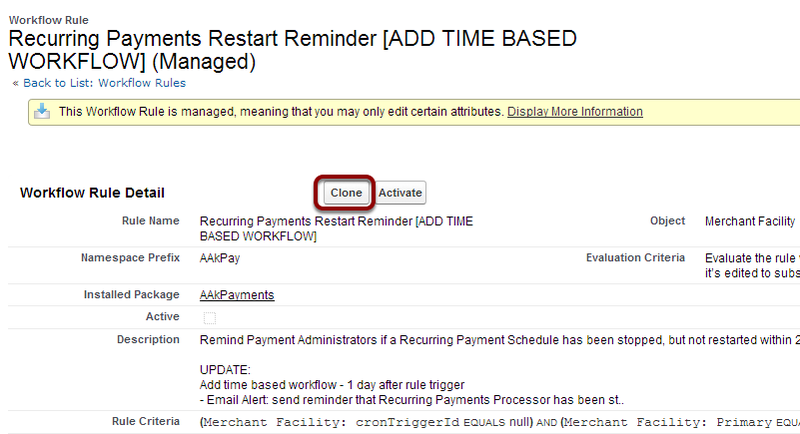 Clone Workflow rule "Recurring Payments Restart Reminder [ADD TIME BASED WORKFLOW]" and rename to "Recurring Payments Restart Reminder"
Add Action - Use existing workflow - "Email Alert: send reminders that Recurring Payments Processor has been stopped…"
Update the recipient of the Email Action "Email Alert: send reminders that Recurring Payments Processor has been stopped…" to be a contact in your organisation that will follow up this email alert. 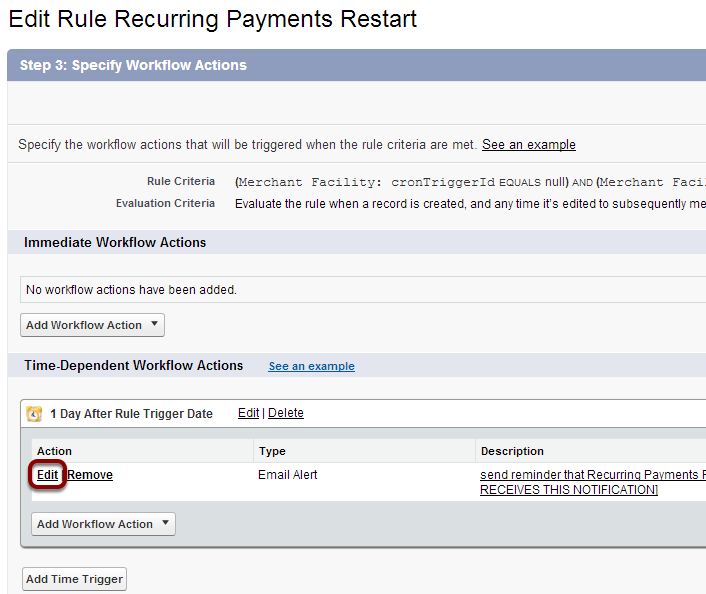 This may be located on the second or third page.